Some real doozies on my face have “blessed” me with an opportunity to fight back using my favorite natural DIY blemish treatments. About once a month my hormones do crazy things, leaving my face with breakouts that closely resemble moguls on a ski slope. In fact, you can see a Mt. Everest look-alike on my forehead from a mile away right now. All joking aside, it’s always nice to be able to put your best face forward and not have to worry that people are staring at your disgusting breakouts when talking to you. Tea tree is a powerful essential oil with antibacterial, antifungal, antiseptic, and anti-inflammatory properties. It promotes healing in blemishes and has been studied in-depth to find a concentration at which it’s most effective. Tea tree essential oil has been shown to be very effective in healing acne at a 5% concentration. In clinical trials, it worked as well as an acne treatment with 5% benzoyl peroxide (the active ingredient in most commercial acne treatments). Combining tea tree oil with pure aloe vera gel (which is also very beneficial for acneic skin and breakouts) yields a very natural, gentle remedy for blemishes. Combine ingredients in a small bowl and mix thoroughly. Transfer to a small container with an airtight lid. Apply directly to blemishes or problem areas with a clean finger or cotton swab. Allow to dry. Store tea tree gel in the refrigerator. Use within a few weeks. Witch hazel is another simple, effective treatment for blemishes. This plant extract is naturally astringent, anti-inflammatory, and antibacterial. To boost the healing properties of this blemish remedy, I combine it with an antibacterial essential oil. 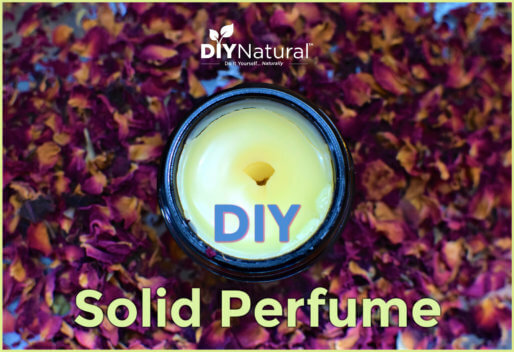 Some options are thyme, tea tree, lemon, lavender, and many more. Add witch hazel to a small squirt bottle. Drip essential oils into bottle, cap tightly, and shake to combine. Squirt a small amount onto a cotton ball and apply directly to blemishes. Allow to dry. Clays have been used for centuries in all sorts of cosmetic, healing, and spa-type preparations. Clays work to draw toxins and impurities from your skin, leaving you with an improved complexion. French Green Clay is an extremely absorbent clay, which also tones and revitalizes skin, and speeds healing of blemishes. It can be used weekly in a mask, or daily to spot-treat blemishes. Kaolin Clay (White Cosmetic Clay) can also be used to treat problem areas. It is a gentle, absorbent clay that is appropriate for all skin types. Add a small amount of clay to a bowl (about ½ teaspoon for spot-treatments or 1 teaspoon for full face), and add a little water at a time, stirring after each addition, until a smooth paste is formed. Apply paste to problem areas or as a mask over entire face. Allow clay to dry completely, then use a warm washcloth to gently rinse away clay. Mix clay blemish treatment only as needed, and discard extras after use. And hey, if none of these work, you can just smile. I’ve always found a big fat smile can create the best diversion when I’m self conscious about my mug. 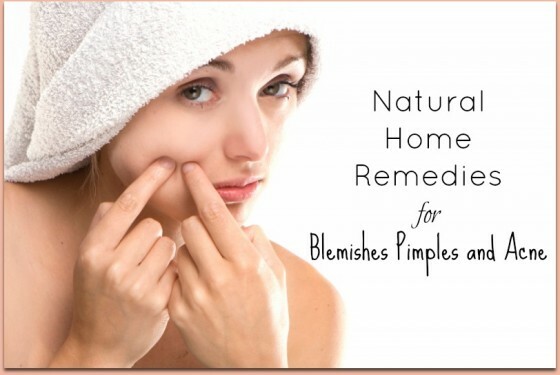 If you have a favorite natural remedy for treating blemishes, share it with the community below! My husband and I used Bragg’s Apple Cider Vinegar as an astringent any time we have a breakout. It’s magic. It takes pimples (even big cystic ones) away really quickly. Smaller ones are gone in a day and big ones are gone in a couple of days. I used to have the same issue with blemishes at a particular time of the month. I had my hormones checked (for other reasons) and they were completely out of whack. Since getting my hormones back in line, the blemishes no longer appear. Three natural herbal supplements that can help with hormonal imbalances are :Ashwaganda, Chaste Berry, and a harder one to find- Shatavari. I use coconut oil as a “carrier” for the tea tree oil – the coconut oil has healing properties of its own. I melt 2 Tbs of coconut oil in an old facial cream jar and add a few drops of the tea tree oil. Once it sets up I dab it onto the trouble spots on my face before I go to bed. It moisturizes and treats at the same time. I use a paste of baking soda and water (sometimes I substitute lemon juice) for a facial scrub, although it can be irritating if used more than once a week. I’m trying an experimental facial moisturizer. I found a recipe for body moisturizer (1 cup grapeseed oil, 1 cup distilled water, 1/4 tsp vitamin E oil, & 1 oz beeswax) that I LOVE. I swapped the water for witch hazel and reduced the beeswax by a little more than half. It’s very light and I like it so far, but I’ve only been using it for two days. Thanks for commenting Andrea! It makes sense that oregano oil would work…its antibacterial/anti-fungal properties make it good for so many things. I may have found this recipe through you in the past but we have a simple recipe. My 15 year old son and I use natural sea salt and olive oil. We mix a small amount and scrub his face. Although he’s not ‘into’ anything not created by the cosmetic industry it works so well he doesn’t want to use another product. We do it about 2 times a week. Can’t believe something so simple makes such a difference. Thanks for these tips. I want to caution folks, though. Both tea tree oil and lavender oil have estrogens, and the NIH has posted a warning that they should not be used by boys prior to or in puberty because they cause breast growth. I learned this after looking for an alternative to benzoyl peroxide for my son’s pimples. I am going to try witch hazel and clay for him. The reasearch I’ve seen points more towards the “lavender scented” type products and chemically extracted oils as the ones causing the endocrine disruption. Naturally extracted oils shouldn’t do that unless maybe one was using a major amount. Thanks for bringing up endocrine disruption – one more reason to go natural! Thanks for commenting Becky! I’m aware of that research, but it had many flaws and is actually a very debated study. The study from 2007 that concluded tea tree and lavender disrupted hormones and caused abnormal breast development only involved 3 boys. (Such a small study makes it very difficult to make a definitive conclusion on the effects of these oils.) Furthermore, the boys in the study were applying products containing tea tree and lavender, but specific product names and full lists of ingredients were not provided. This makes it difficult to point to tea tree and lavender as the true culprits and rule out any of the other ingredients. In addition, no other case studies have since surfaced to support the findings in this study. If we’re looking at estrogenic properties in these specific plants, I should also point out that there are hundreds of herbs that have estrogenic properties. When the European Commission’s Scientific Committee on Consumer Products further evaluated tea tree oil after the 2007 study emerged, they found the claims to be “implausible,” saying that the hormonal properties of tea tree can not be absorbed by the skin. However, you obviously have to do what you think is right for your family, and it’s best to avoid these oils altogether if you feel unsure about their effects. Hope this helps! Moguls on a ski hill, I love it. Your sense of humor is great! I am approaching menopause and the fluctuating hormones are causing a disaster on my face and neck. I’ve been using some otc zit creams with some success. But I would much rather use natural remedies. I will definitely try this out, Thanks! Hope you find one that works for you Terry! I use olive oil and tea tree oil on my face daily. It cleans and removes daily yuck from pores, balancing the dry and over-producing areas. One tablesppon olive oil with 10 drops of tea tre oil mixes well in a condiment bottle. Just massage into skin and gentle wipe off with a cool washcloth. I use it at night. My face feels awesome in the morning, even in winter. A dab will go a long way. Just on a side note, before I started using the salt and soap to wash off the milk of magnesia, I was using sugar because it had a finer texture. Well, it seemed I was feeding the bacteria and it definately got worse. So I switched to the salt, only once a week at first, but then I found the balance, and it depends on weather, whether I have been working out and sweating alot, etc. I do the morning routine in the shower, and let me tell you whatever salt and soap I have left on my hands after scrubbing my face, gently ofcourse, I rub rather vigorously on my shoulder area. Feels so good, but also takes care of any acne there. I have a very large aloe vera plant. Would it work the same if I used the inside gel from the plant instead of buying aloe vera gel? Yes! Definitely use your fresh aloe plant. However, the fresh plant is a breeding ground for microorganisms as soon as you harvest the gel, so you’ll want to refrigerate and use it up within a few days. Betsy, I’m not sure this is the most natural, but it is what’s been working for me. I never thought I’d be struggling with acne in my 50’s, my teens and twenties, weren’t even really a big deal. But with hormone fluctuations, I ended up with raging cystic acne. I wash my face as usual at night with dial ( I know, not natural) Then after rinsing and drying I put a very thin layer of milk of magnesia on and go to bed. Thin means I’m not going to bed with a white face. Then in the morning I was it of with soap again. Now this is where you have to adjust for your skins oiliness. For me 2-3 times a week, my morning routine uses ordinary salt mixed with the dial to exfoiliate. After about 10 days of this routine, my skin had remarkably lessened, no more cystic, a few little white/black heads here and there, no big deal. Interesting Cassie! I’ve never heard of milk of magnesia for the face…thanks for sharing! When I was a lay midwife, many decades ago, we had moms use it for severe diaper rash because it was very soothing and drying. 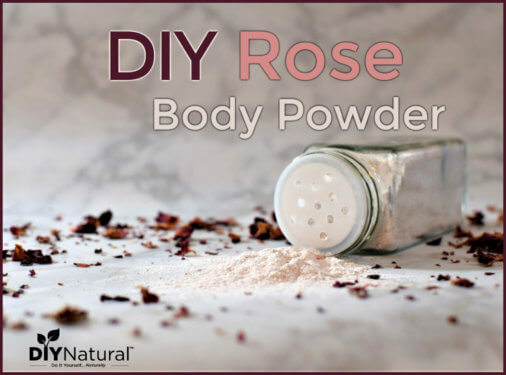 I’ve used it kind of like the old pink calamine lotion, for all kinds of bug bites, rashes, even splinters, especially on kids who don’t want you digging it out. So it is calming, but it also has that clay like quality to it, so it has a drawing property to it which helps get the splinter to the surface or sometimes just out after leaving it on overnight. Happy kid, happy mom! Thanks for these tips. As an adult, it burns me that sometimes my skin looks like it did when I was 17 – and that’s not a good thing! I’ll certainly give these a try. I appreciate that the ingredients are not overly difficult to find. But, as you said, a good smile can cure wonders! mine too, go figure, lol! What’s your favorite natural concoction for cleansing your face? 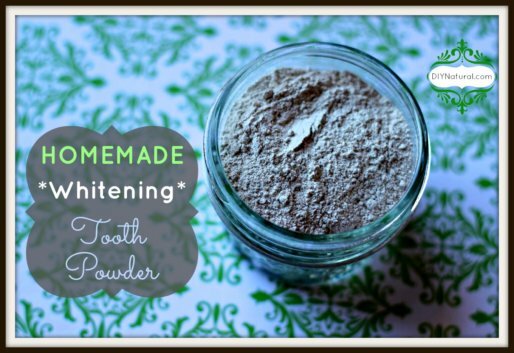 Hi Jolene, did you see this recipe for our homemade facial cleanser? How’d I miss it?? Thanks! !